Lawns in cool areas with plenty of shade will benefit from a turf sown with fine fescue. 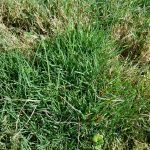 What is fine fescue? It is a standard turf grass that is bunching and perennial. This variety of fescue is often part of a grass mixture to create a northern shade tolerant grass that has low moisture and fertilizer needs. The grass stays green all year long in most regions and is drought tolerant. The 5 varieties are often sold as a blended seed mix for better turf vigor. These grasses are perfect for temperate and cooler regions, especially maritime and low mountainous climates. The majority of the species clump and form tufts with the exception of the red creeping varieties, which spread by rhizomes. Leaves are medium green to blue green with a fine texture. Many growers have trouble determining if they have fine fescue vs. tall fescue. The delicate leaves are an indicator as is the superior performance in shade locations. One of the best uses for fine fescue is as an eco-friendly turf lawn. Fine fescue for lawns germinates quickly and establishes readily. It is often blended with bluegrass and rye as well as different varieties of fine fescue. It is the most shade tolerant of all turfgrasses. 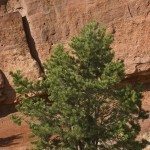 The plant prefers difficult soil conditions such as rocky, sandy or clay situations. Its only major drawback is that it doesn’t perform well in high traffic areas. 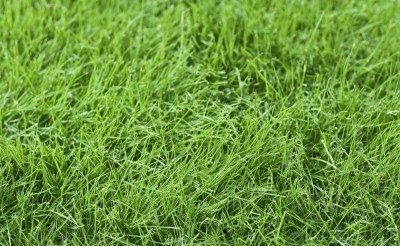 Growing fine fescue as a mix is recommended for northern gardens and shady warm regions. Fine fescue is most often used as a lawn. It is not useful in grazing situations. The shade tolerance of the plant is attractive to gardeners with numerous trees, and in low light, the turf is still vigorous and thick. 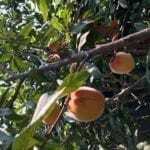 It may go dormant in periods of summer with temperatures above 90 degrees Fahrenheit (32 C.) but will reanimate when cooler conditions arrive. Growing fine fescue requires soil pH of 5.0 to 6.5. As with any turf grass, it is best to prepare the bed before seeding, drilling or laying sod. Fine fescue blends are not recommended for heavily trafficked areas, such as athletic fields, but perform well in standard home landscapes. One of the characteristics of fine fescue for lawns is its tolerance for low mowing, especially Chewings and hard fescues. The grass has low irrigation needs but will require consistent moisture when establishing. Thick thatch is a problem that develops as the lawn matures and can cause difficulty with irrigation. The plants tolerate low fertility conditions but will gradually brown without supplemental nitrogen. Springtime fertilizing followed by an early summer feed will develop strong roots, good color and enhance the drought and heat stress properties of the grass. As a general rule, fine fescue care doesn’t require a pesticide, as most insects do not seem to do any damage. Fungal issues, however, do tend to occur, especially in coastal and high moisture regions. Read more articles about Fine Fescue Grass.